Lately, as you can see, I am on a slight pom-pom binge: see my posts on DIY sun hat and pom-pom balloons! Well, who isn’t? 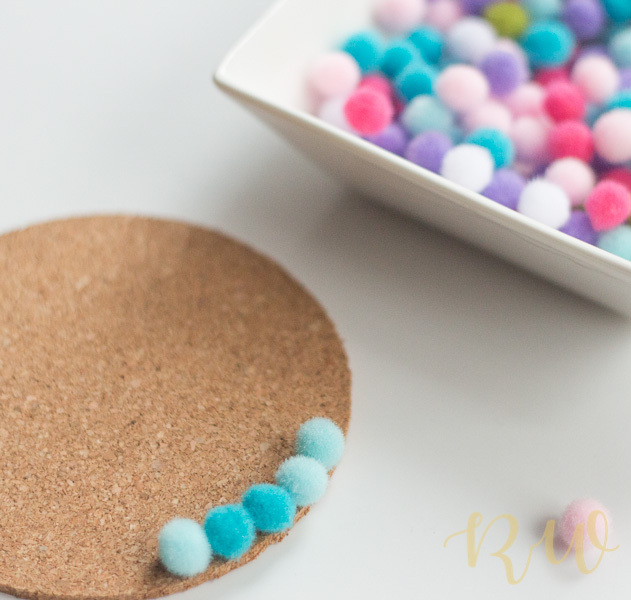 Pom-poms look adorable and instantly lend cuteness and colour to any otherwise dull little items; it comes to the rescue when you want to spruce up your old boring bag or that straw hat hidden in the closet for years. So much on trend that they are like everywhere from earrings to sandals to rugs and what not! 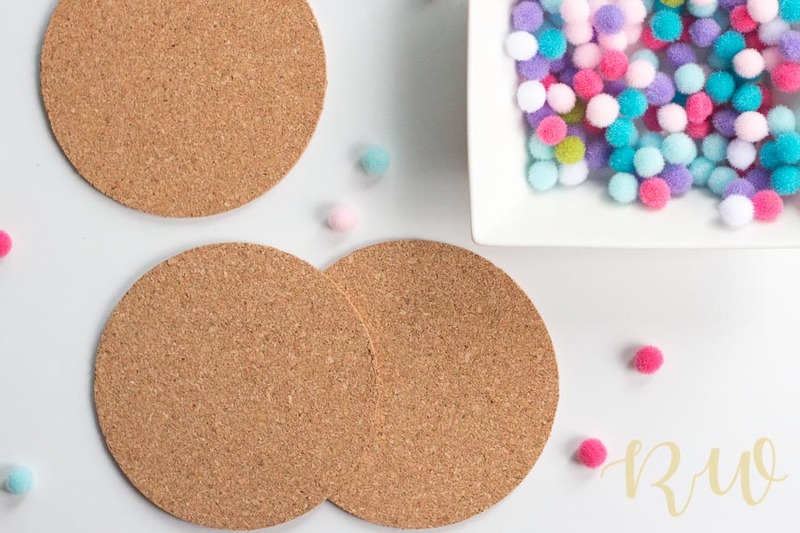 Today I tried giving life to my old brown cork coasters by gluing some colourful pom-poms on them, and boy! do they look adorable! 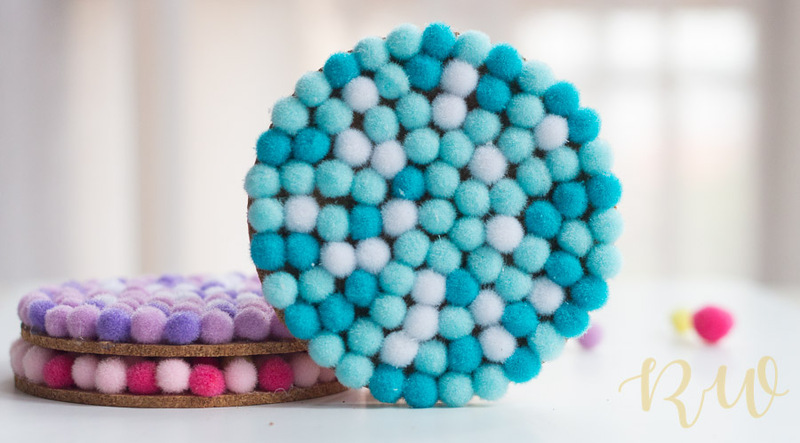 A shout out to a fellow DIY-er Sonia (her blog) who made these amazing vibrant pom-pom coasters last week and it inspired me to make my own. 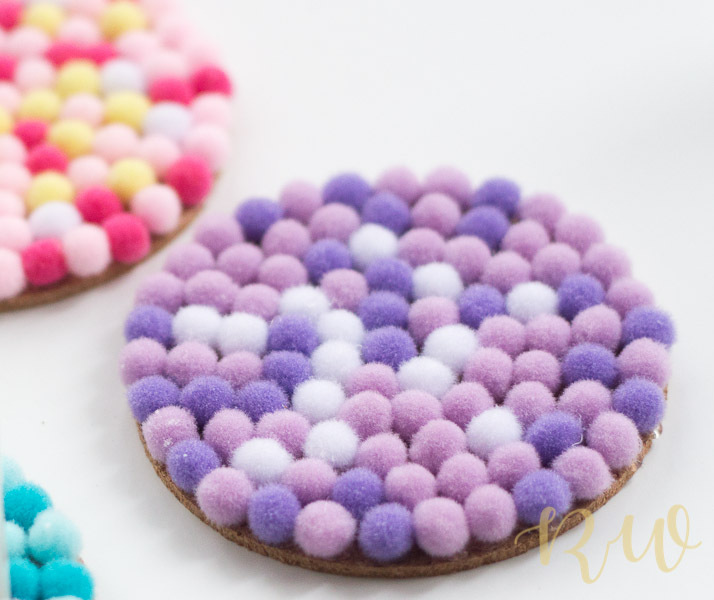 First I decided on the colour pallet I wanted to go for and once I knew, I started gluing the pom-pom balls on the coaster. 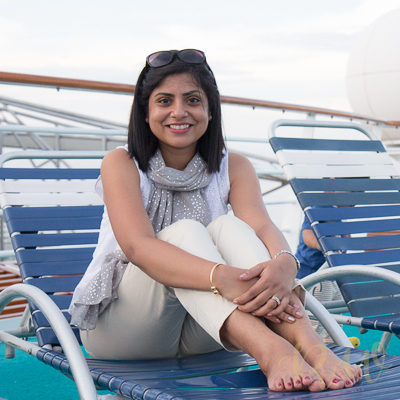 I started from the outer edge of the cork coasters and worked my way into the middle. I did not go for any colour pattern when it came to placing the balls, I randomly glued them onto the base. Tip: A little dot of the hot glue goes a long way and it looks way better when the glue is not oozing from the sides. DONE!!!! Yes it’s that easy ! Now we have some lovely cozy coasters for our home made summer drinks! Do post on Facebook, Twitter or Instagram with hashtag #rheawritesDIY if this post motivates you to make some for yourself or for friends – I would love to see them.